The task: complex. The situation: unclear. The opponent: clearly with the superior number! You will not do it alone; going at it alone would be a deadly mistake! Whether a RPG instance or shooter, the team usually decides the success or failure of a mission. Thankfully the FireGround mat is on your side and lays the foundation for your grandiose victory. With its nonslip material, it fixes to your keyboard and is immovable while obeying your commands. 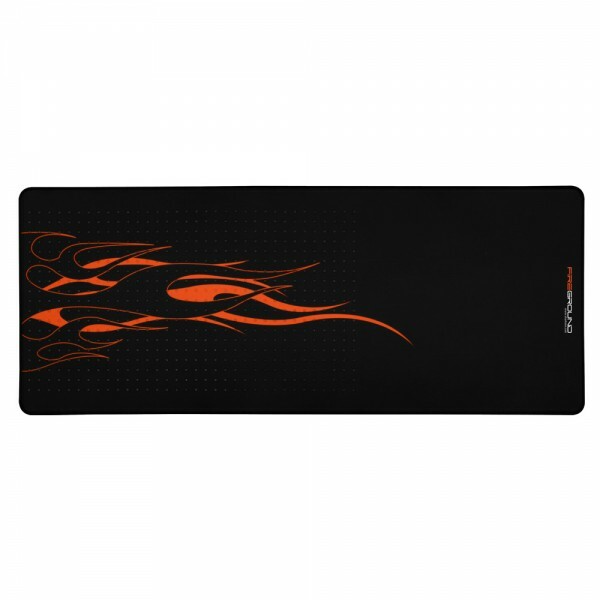 At the same time the mat positions your mouse in an area with the best gliding and the highest precision available. The bottom of the FireGround mat is made of natural rubber, which firmly attaches itself to any surface and compensates for slight unevenness. Therefore, despite its impressive size of 855 x 345 millimeters, the mat is so flexible that it takes up hardly any space in your assault pack. The DurableStitch sewing of the edges prevents the textile surface from fraying and ensures that your FireGround mat will continue to follow you into every engagement.